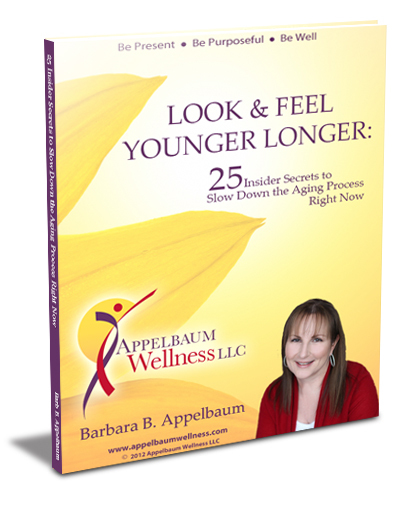 25 Insider Secrets to Slow Down the Aging Process Right Now! Try one of these tips each day for 25 days to improve your wellness. Most are quite simple and you will notice amazing changes! Plus receive a FREE subscription to the Live in Wellness Now e-zine.